This year’s student book budget group has been one of the largest groups, but one of the most thorough groups I’ve had. 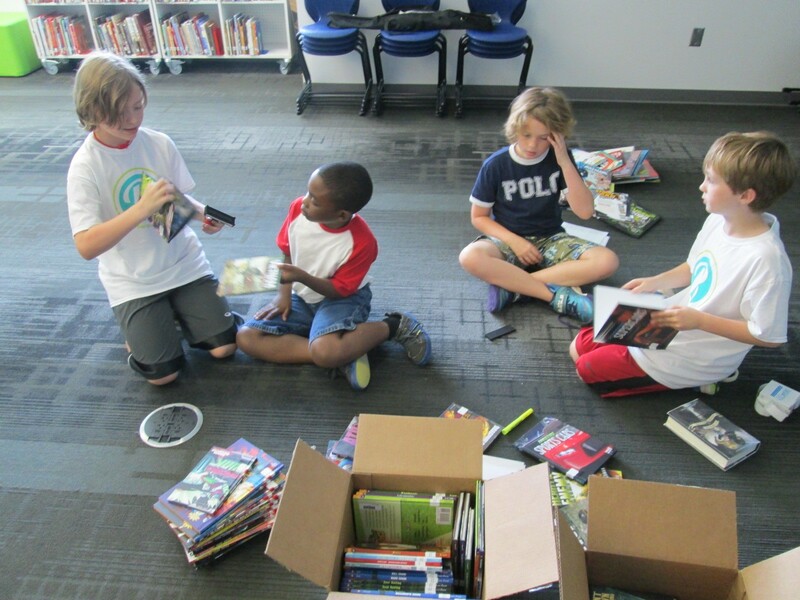 To recap, our student book budget group is a group of 4th and 5th grade students who develop a reading interest survey, gather data from the whole school, analyze the data, set purchasing goals, meet with vendors, and spend a budget of approximately $2000. I assist them, but the decisions are completely driven by students. This year, we got started a bit late, so we didn’t get all of our books until the very last week of school. 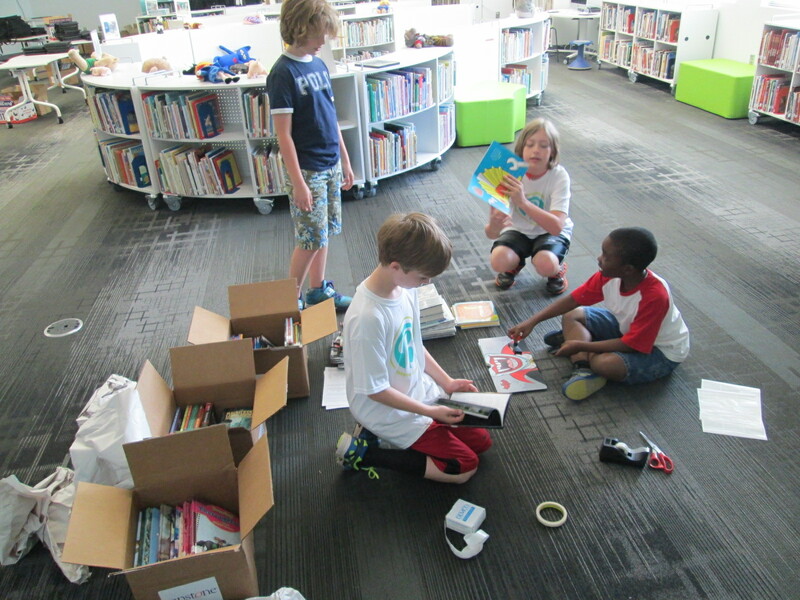 After a lot of debate, the students decided to prepare the books for checkout, enjoy looking at them, and then set them aside for the beginning of the school year next year. It was a hard decision, but we think it will be so exciting to walk into the library on the first week of school with over 150 new books to choose from. 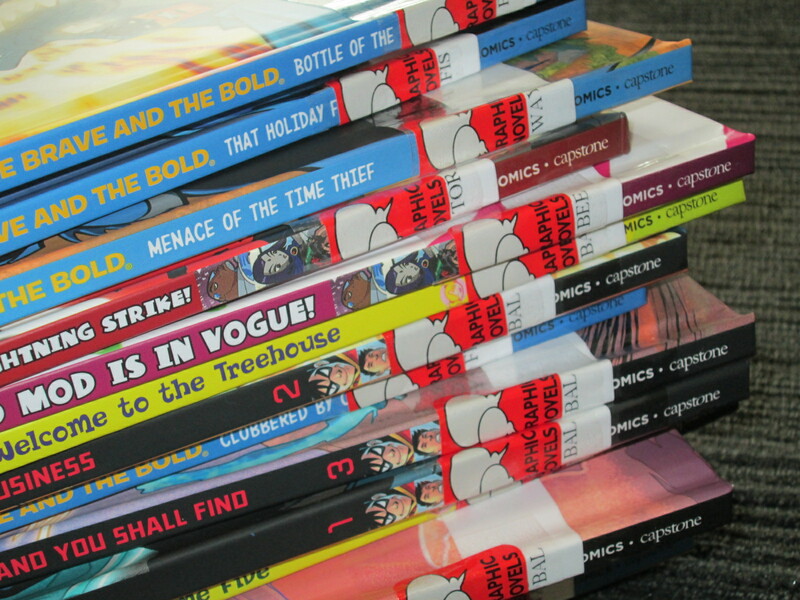 We realized that several of the books were cataloged as fiction but were really graphic novels, so we took time to label all of those books with a graphic novel sticker so that they could be easily found with other graphic novels. 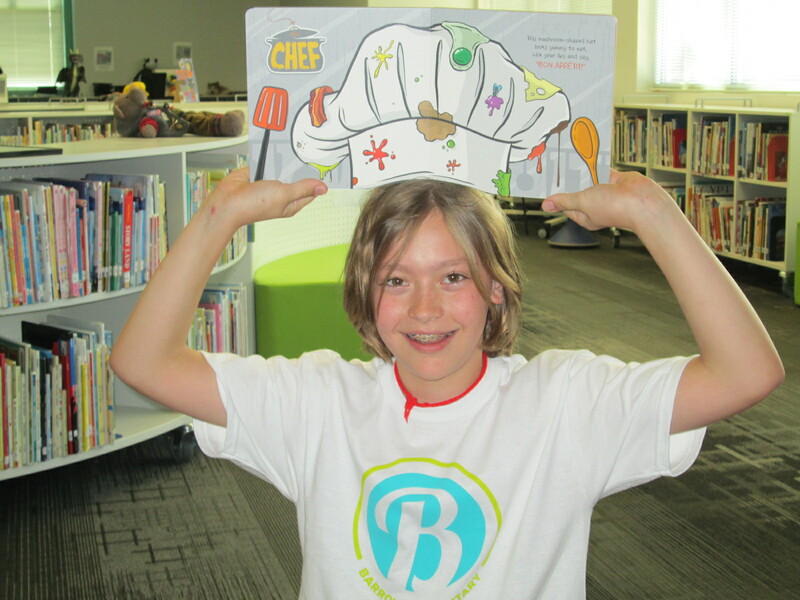 Once the books were enjoyed by the students, we sorted them into stacks by type of book and took their pictures. 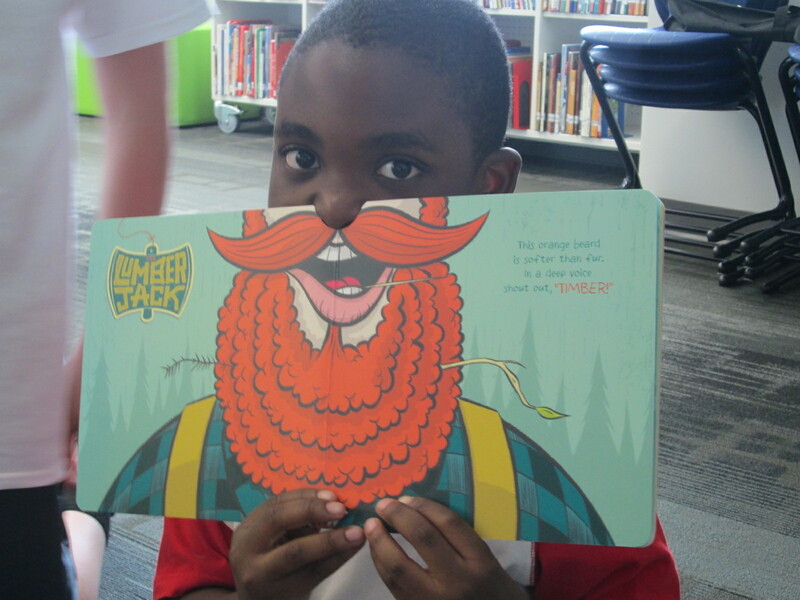 These pictures will be used next year to promote the books at the beginning of the year. It was fun to see all of the books grouped together to actually see how we distributed the money between our goals. I think some of us realized we may have been a bit heavy in some areas of our budget, but I don’t think anyone will be disappointed in these great selections. 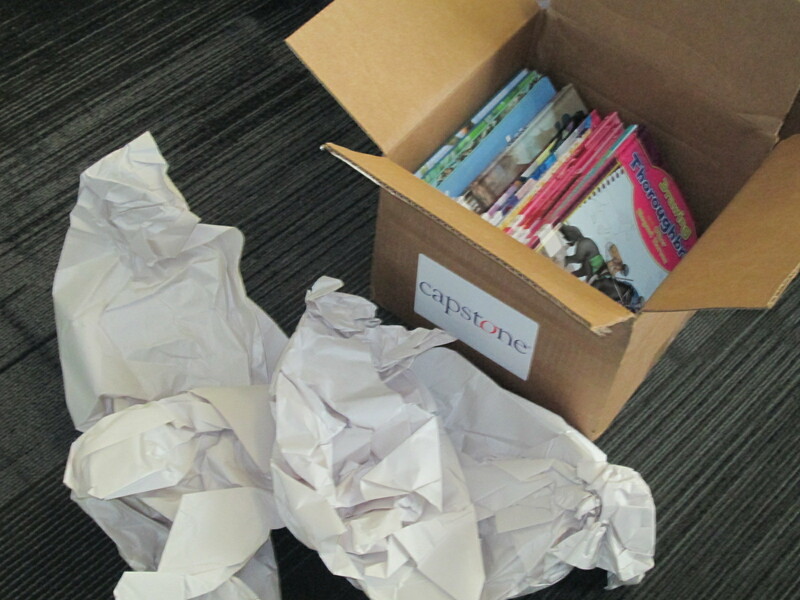 We thank Capstone and Avid Bookshop who were huge supporters of this project. We wish the books were checked out right now, but with only one day of school left, we will wait with anticipation for the big checkout day. It will be a nice way to inform students about the project who might want to participate next year. My plan is to start much earlier next year! This entry was posted in book builders, Book News, student participation, student project and tagged Avid Bookshop, capstone, decisions, marketing, packing slip, sorting, student book budget, unpacking. Reblogged this on Cyrus Lafarre's WordPress Blog.